If your lawn is large, but getting a tow behind spreader would be a bit too much, then you should purchase a push spreaders. These spreaders are attached behind a push cart, and the spreading mechanism starts working when the wheels turn. Basically, you just need to walk around your lawn while pushing the cart. So for medium to somewhat big lawns, push spreaders might be an option. 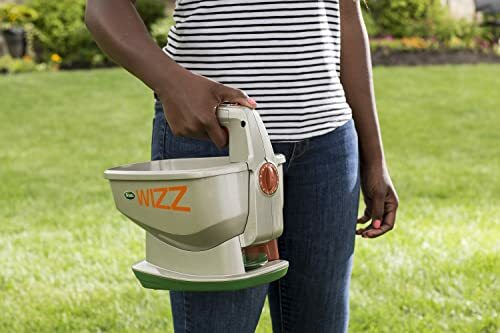 If you have a tiny weeny lawn, the best option for you is a handheld spreaders. These are very handy when it comes to fertilizing a small lawn, and they are great for covering missed spots. To sum up, you need to consider the size of your lawn before buying an actual fertilizer spreader. It is always important for your fertilizer spreader to be compatible with your lawn. There are a number of very popular brands in the market of fertilizer spreaders. These include Scotts, Agri-fab, Earthway, Buyers, Chapin, Brinly, Field Tuff etc. All of these brands have their own features, and they are all good. But since we don’t want to settle for simply good products, we will be reviewing three of the very best spreaders. Just as we mentioned, this spreader is for small lawns. 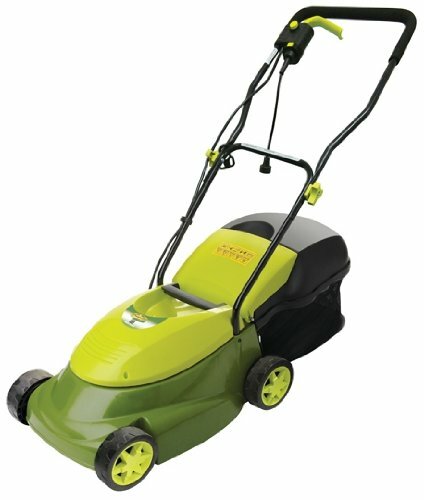 So if you have a lawn that is 2500 sq-ft or less, then this product is made for you. It is a good, lightweight product that is very easy to use. The spreader is designed to contain just enough fertilizer to cover a 2500 sq-ft lawn. It gives you great control in the tight spots, hence you will be able to fertilize every nook and cranny of your beautiful lawn. The Scotts Wizz is a great fertilizer spreader. It has all of Scotts’ newest technologies, including the edge guard and handy lock. 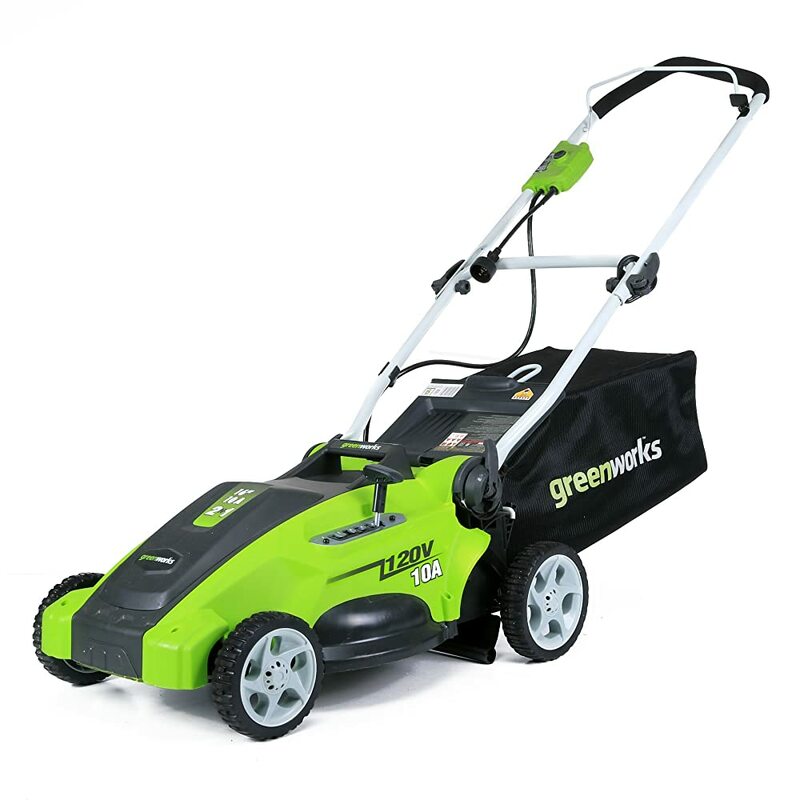 It has great versatility, hence it can be used to spread four types of gardening products- Feed, Seed, Weed and Melt. 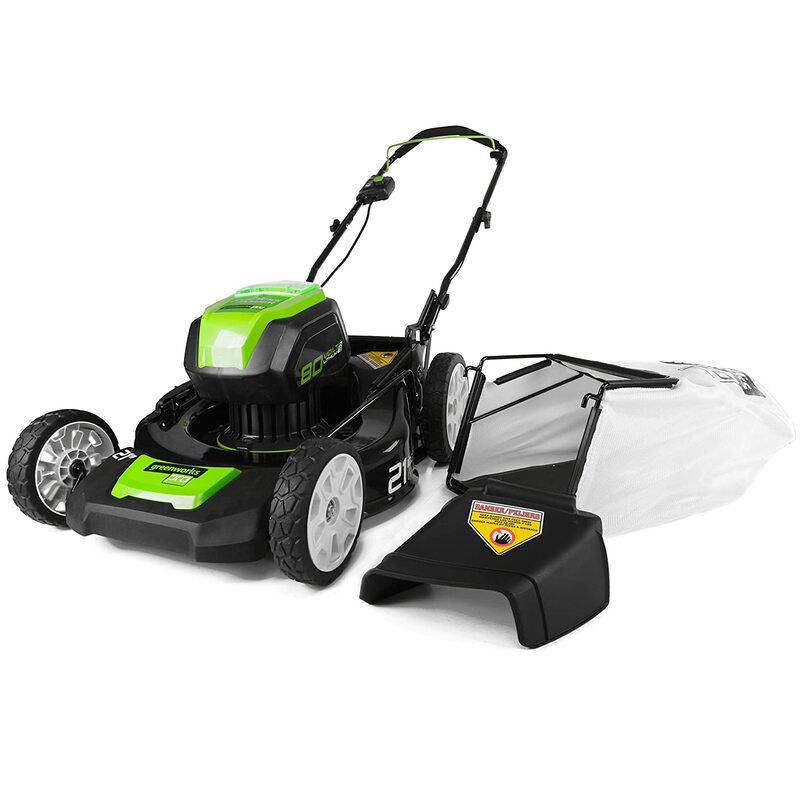 It hold enough gardening products to cover a 2500 sq-ft area, and it is battery powered. Fertilizing your lawn has never been easier. 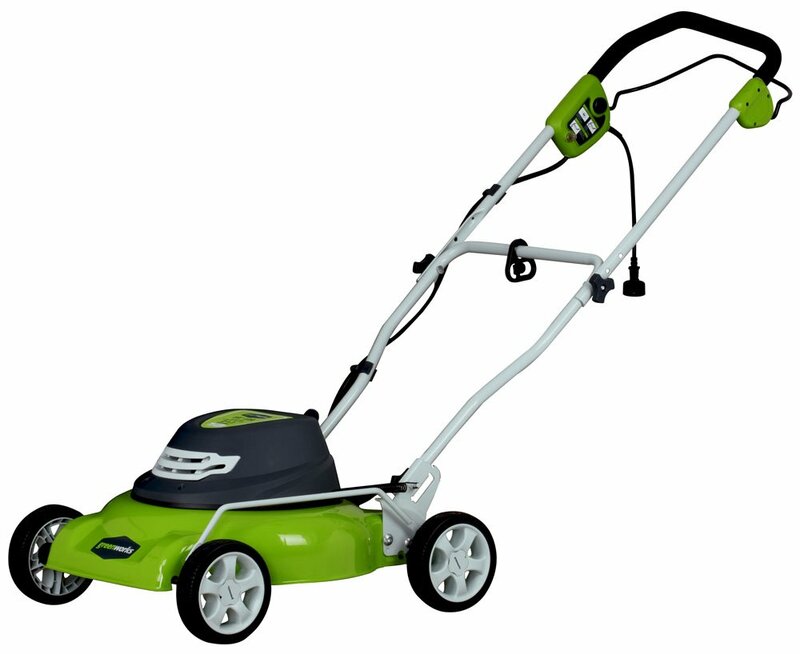 This product has a user friendly design that lets you take care of your lawn is four simple steps. Make sure you know the grass type and what sort of fertilizer you should be using. Then fill the spreader with enough product. Set the suitable setting by turning the big, orange dial, and in order to protect the areas that do not belong to your lawn, turn on edge guard. No you just need to walk around while pulling the trigger. It’s easy, isn’t it? Try using this spreader. It should be worth every penny. And for a spreader costing about 20 dollars, it will do a great job. Tow behind spreaders are most suitable for huge lawns. After all, you need a tractor or a suitable vehicle to move this thing. So if your personal golf course needs fertlizers, you could consider using the Agri-Fab 45-0463. Agri-Fab products are particularly noted for their durability. Is that arena, the Agri-Fab 45-0463 is no big exception. It has a sturdy rod linked on/off control with perfect settings. As a result, controlling the machine is very, very easy. 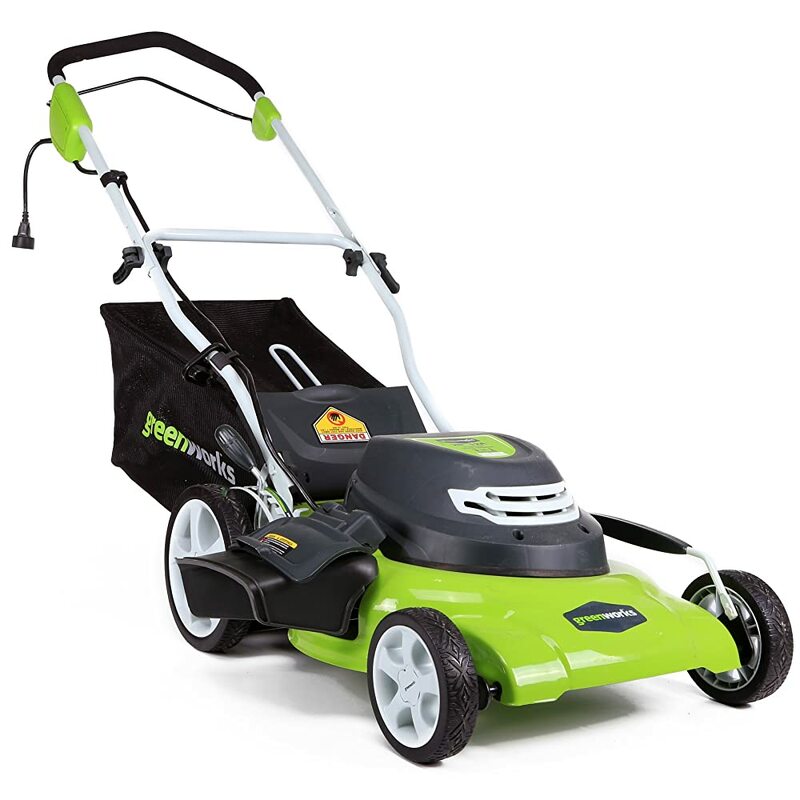 It comes with an enclosed gear box equipped with trapered gears, which help you spread your lawn care products evenly and precisely. In order to achieve stability on rough terrains, the spreader has large diameter tires equipped with wide wheelbase. 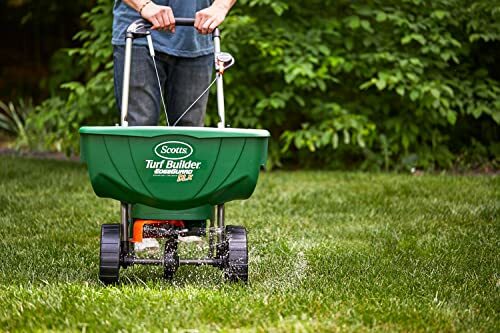 The best feature of this particular spreader is that it can hold up to 130 pounds of lawn care products. It may not seem much, but the amount is more than enough to cover an area of 25000 sq-ft. 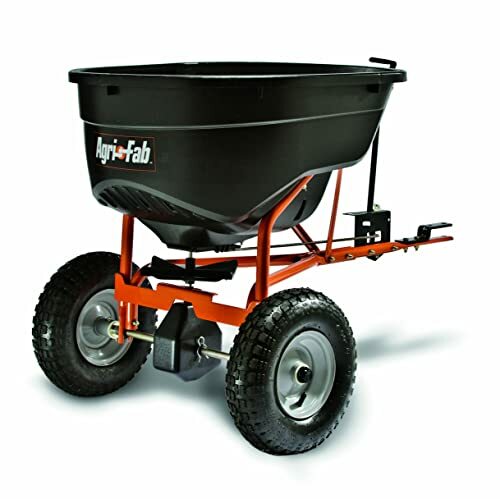 In other words, you can fertilize almost half an acre with this spreader. Astounding, isn’t it? The Agri-Fab 45-0463 can be easily used by professional farmers. But that does not mean that it is very hard for non-professionals to use. In fact, even home gardeners can use this spreader for the perfect growth of their plants. It works with any kind of seeds and fertilizer, and it doesn’t stain or damage your tractor. The metal gears along with the metal frame ensures a lasting life. And all of this comes for at around one hundred and seventy dollars. All in all, this spreader can be your comrade in your fight for a healthy and beautiful lawn. 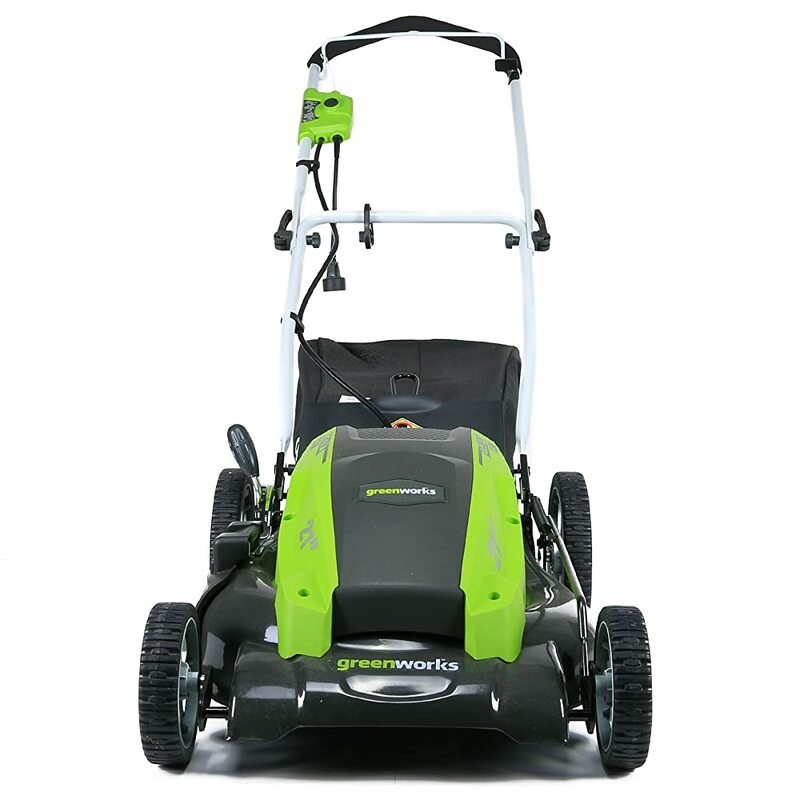 Just like any other walk behind fertilizer spreader, the earthway 2150 is suitable for medium sized lawns. Like all earthway products, this spreader comes with a number of features which are able to blow any gardener’s mind. It has an extended handle, which makes it very easy to walk around while pushing the spreader. The tires roll very smoothly, and since they are big and pneumatic, they can even roll over uneven turfs quite smoothly. Made in USA, the earthway 2150 has a very well calibrated setting control which maximizes the satisfaction from your gardening experience. And as a bonus, you get the looks. 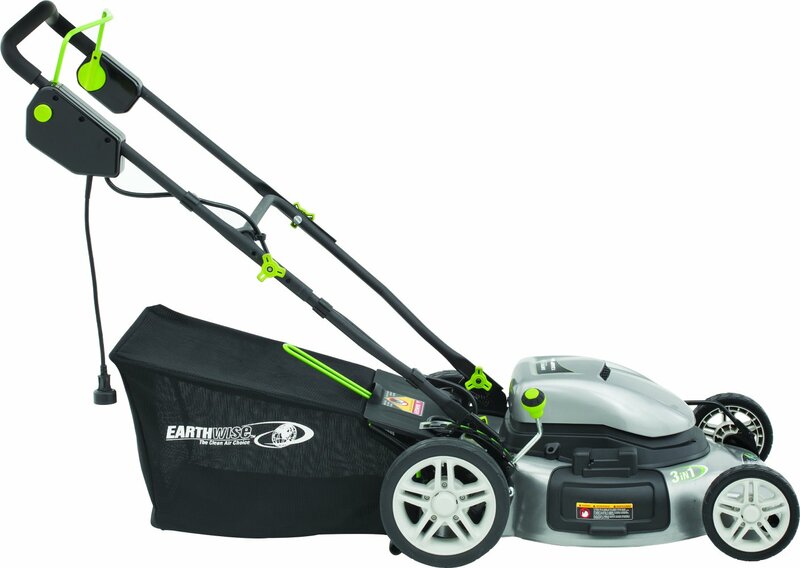 The Earthway 2150 comes with a unique EVE-N-Spread technology to ensure even spreading of your fertilizing products. You can adjust the spreading rate control, and you can adjust the handle according to your height. The spreader can hold 50 pounds of gardening material. The only con that you might be concerning yourselves with is the expense of this particular product. True, this spreader is a wee bit more expensive that other spreaders available in the market. But when you think of the service it will be able to provide you with, the cost does not seem to be all that much. 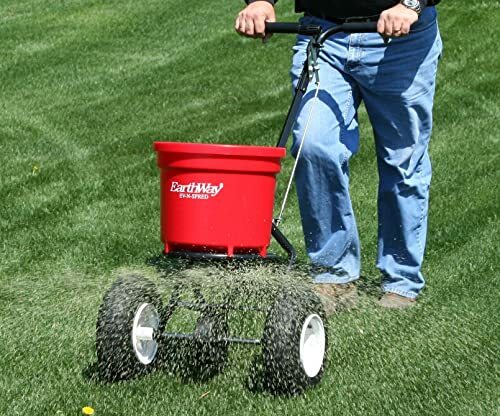 To be precise, the earthway 2150 is a really great spreader with great functions. It is definitely worth a try if you want to have a healthy, beautiful lawn. Another fantastic walk behind fertilizer spreader you might want to look into is the Scotts Turf Builder. It is a very handy and useful fertilizer that will make your work a hundred times easier. Equipped with Scotts supreme EdgeGuard technology, the Scotts Turf Builder will make sure that you are getting maximum efficiency. If you are a perfectionist to your very core, this product is perfect for you. Why? Because it has an ultra-modern control panel with precision rate settings, which will help you to control your spreading rate even more accurately. And if you use this with Scotts lawn food, it can be guaranteed that you will be awed at the efficiency rate. The Turf Builder is not only technologically advanced. 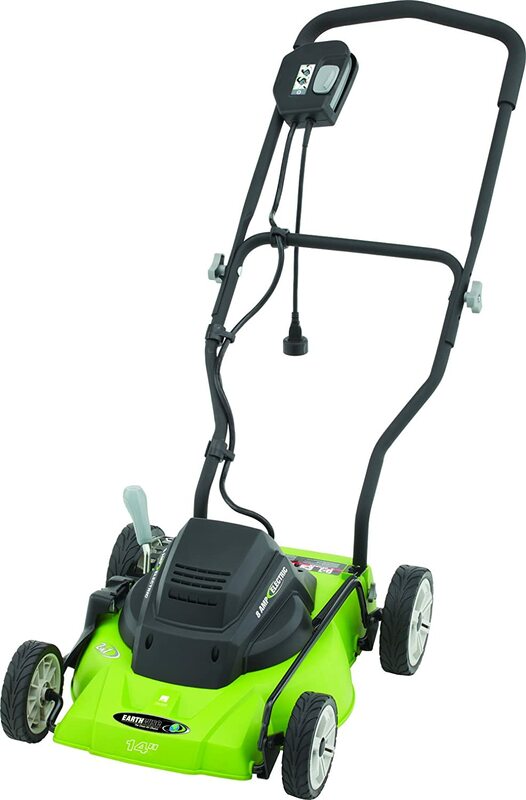 It is very useful for somewhat big lawns. 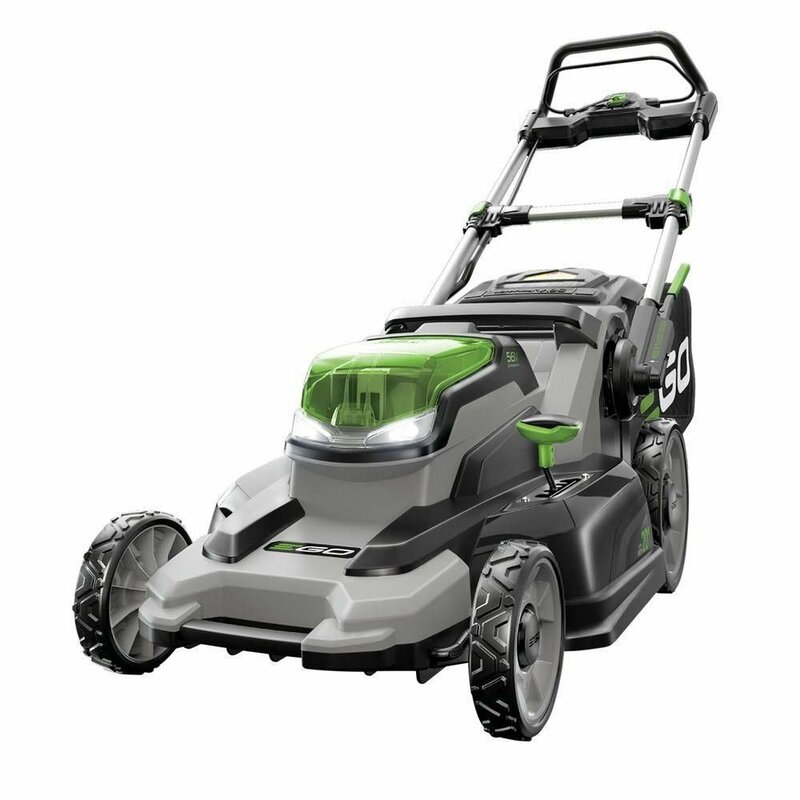 Since it can hold up to fifteen thousand square feet of lawn care products, it goes without saying that this product is good enough for lawns that size. Calibration is often an important factor for fertilizer spreaders. All fertilizer spreaders need to be calibrated to perfection. But if you purchase the Turf Builder, you will not have to worry about calibration- because the products is already calibrated and perfectly ready to use. 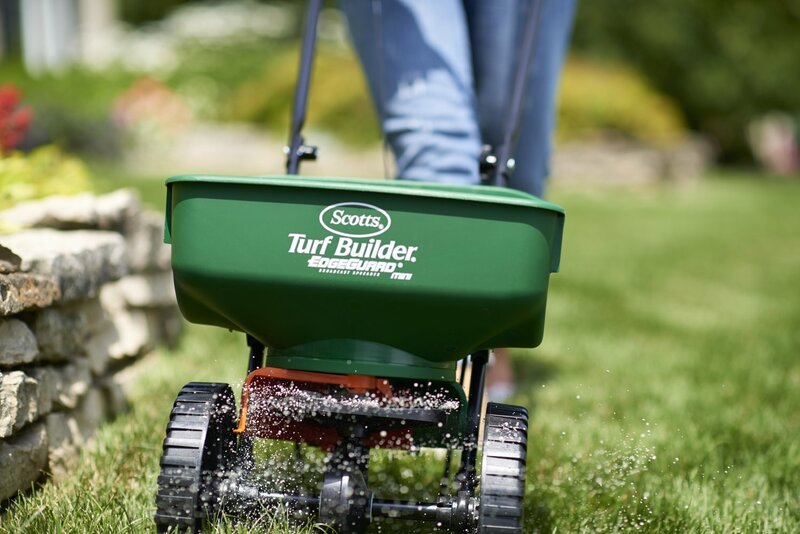 All in all, Scotts Turf builder is a great choice when it comes to fertilizer spreaders. Give it a try! We have already discussed why you should fertilize your lawn. But how frequently should you do it? When it comes to fertilizing your lawn, you should always follow a competent schedule. But before you begin, you must know what type of grass you have in your lawn. Depending on your grass type, your fertilizing schedule might vary. Also, determine your lawn size, and you must do a soil test. After you have done all this, it should be easy to determine what kind of fertilizer your lawn actually needs, and then fertilize accordingly. Quick tip- if you have cold season grasses, fertilize heavily in the fall and lightly in spring. If you have warm season grasses, then start fertilizing when the grass starts to turn green in the spring. For more information, google. To maximize the fertilizing effect, you should follow a regular schedule. Just google it, and you will find tons of resources on the internet. Always use the internet to your benefit, and pave your way to a greener lawn. Fertilizer spreaders are fast and reliable. If will save you a lot of time and manual labour for a very little cost. So it is always better to use a spreader to fertilize you lawn. It is always very important to spread your fertilizer evenly. Fertilizer spreaders help you do exactly that. That way, your grass will get the maximum benefit from the fertilizer you are using. You can find great spreaders for very little cost. Hence, it makes your work a whole lot of easier without you having to spend a lot of money. That’s a bonus, don’t you think? Fertilizer spreaders aren’t very great when it comes to that little blind spot you have in your garden. To avoid that trouble, keep a handheld spreader handy, or just use your hands. Fertilizer spreaders do not work well with clumpy or grainy fertilizers. The mechanism clogs, and you will have to go through extra trouble to make it work again. That is a big disadvantage of fertilizer spreaders. Nonetheless, these spreaders are definitely worth it. Buying the perfect fertilizer spreader is not a very hard task. You can look into Amazon.com. They have a wide range of fertilizer spreaders. If that’s not an option, then try your local dealer who sells gardening appliances. However, before you buy your fertilizer spreader, make sure to explore your options. Determine your budget- decide whether you want a cheap one or an expensive one. Discuss it with experienced gardeners, and check out customer reviews. All these steps will help you find the suitable fertilizer spreader for your lawn. Maintaining your fertilizer spreader, along with troubleshooting it wherever necessary, can be a somewhat daunting job. But follow the following rules, and you’ll be fine. Oil the moving parts regularly: Parts like grease fittings, chains and sprockets should be oiled on a regular basis in order to keep your spreader up and running. Otherwise there’s a chance that it will get stuck. Doing this properly will also ensure that you’d able to avoid troubleshooting in this regard as well. Empty it before storing: Never leave your spreader out in the open. Before storing it away, make sure that you have emptied out the remaining fertilizers and other materials. Keep it dry and clean: Watery residues might make your spreader rusty. So always keep it clean and dry. Keep the chains in check: Chains are a vital part of your pull behind spreader. Oil, fasten or loosen the chains if needed. Change the worn out parts: For the longevity of your spreader, make sure to check the parts regularly and change them if needed. 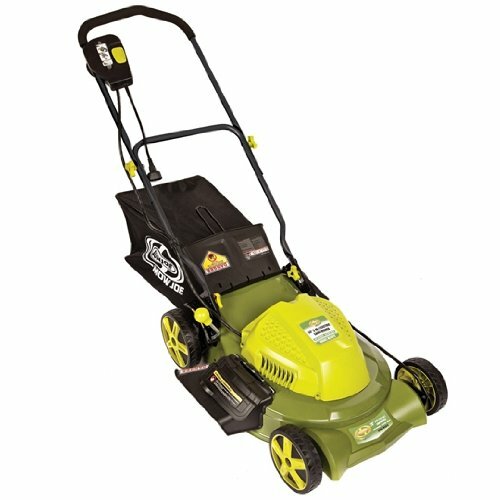 Does it work with all kind of gardening material? What setting should I use on my spreader? Can the spreaders be used for salt in winter? Can these spreaders be used to remove snow by spreading salt? Can the handheld spreader be used for bird seeds? Only if the size of the seeds are about the size of a bee. Does the walk behind spreader adjust to narrow places in the lawn? Yes. Just slow the drop rate and walk slower. How hard it is to assemble the products? It is not very hard. It should take about 1.5 to 2 hours. Can these products be used for spreading compost? they can, but it is better not to. They might clog up. Will the tow behind spreader damage my tractor? Can the spreader be attached to a truck? All in all, a great fertilizer spreader will your greatest friend who will always be with you on your journey to a great lawn. So, you should spend your time deliberating which spreader will suit you the most, and get that spreader without hesitation. Think of it as an investment in your lawn. Also, it is better to be safe than sorry. We hope you can find the best fertilizer spreader for your lawn. May the force be with you.